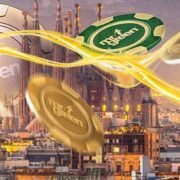 Trivia question for avid slot players – Which online slot has the most screenshot with 2,000+ x bet wins posted on the world wide web? Yes, it is the epic Dead or Alive from NetEnt, which was released in 2009 and to this day has remained an absolute player favourite. For all existing and soon-to-be fans, there are good news as NetEnt went to great length to create an authentic sequel that will keep us in even greater suspense because the win potential on the Dead or Alive 2 slot has been increased beyond 100,000x your bet. 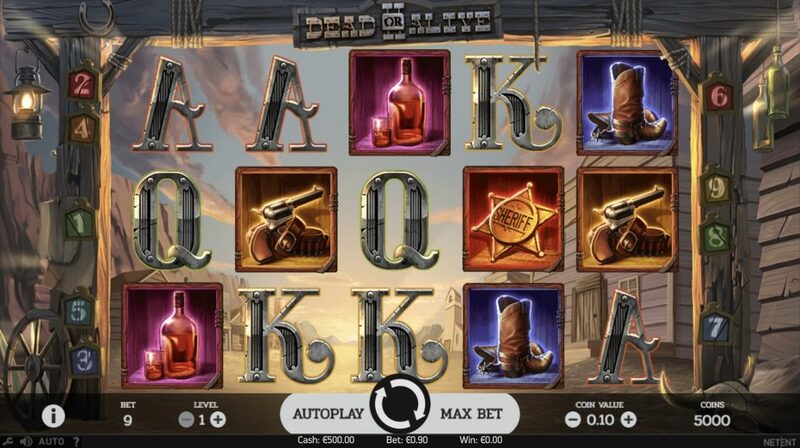 While the free spins round on the original was a nail-biter for hitting sticky wilds on a pay line, the Dead or Alive II slot comes with three free spins mode that will have players buzzing like rarely any other slot. 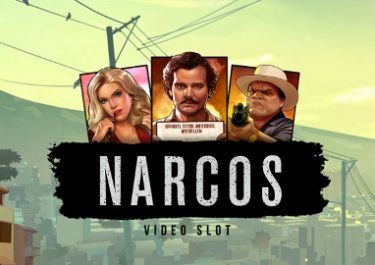 Old Saloon, High Noon Saloon and Train Heist are the names for the free spins features that come with a combination of sticky wilds and multipliers as well as the well-known 5 extra spins when you hit sufficient stick wilds or multipliers. The game link is not yet active, please check back closer to the release date on 24th April 2019. 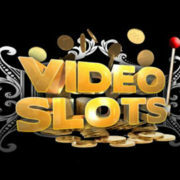 Meanwhile, you can try other exciting Netent slots here. We were pleasantly surprised to see that NetEnt tried to keep as much as possible of the original DNA of Dead or Alive but as excepted significantly improved the graphics and animations. The Dead or Alive 2 slot has now a modern feel with a typical scene from a Western village in the background of a translucent game window. Frameless reels are flanked by wooden beams that were used for hangings in those times. Another welcome return is making the gang of five outlaws Billy Kid, Belle Starr, Jesse James, Della Rose and Apache Kid who have remained in the same formation. They are riding again for more heists in banks, trains and saloons. NetEnt even transferred a good part of the original soundtrack to keep the authenticity of the legendary slot. 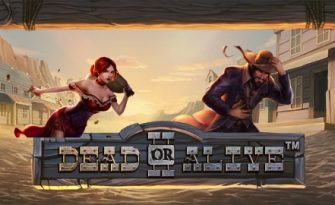 Dead or Alive II is a video slot with five reels, three rows and 9 fixed pay lines, featuring wild substitutions and three free spins modes with wild multipliers and sticky wilds. The RTP of this high variance game is set at 96.80%. 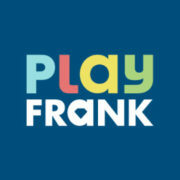 You can ride with the gang of five on mobile and desktop from 0.09 to 18 coins. The usual NetEnt controls for Autoplay and Quickspin allow you to customize your gaming experience. Kudos to NetEnt to keep the original pay symbol set intact although they received a serious makeover. At the low end, you will find the playing cards from 10 to A while at the high end are the well-known whiskey glasses, cowboy boots, hats, holsters with a handgun and a sheriff star. The wild symbol is a wanted poster that turns on each reel into one of the five characters in the free spins round. The scatter is a pair of colts, with minimum three needed to trigger the bonus feature. Polish your six-shooter and saddle your horse as the tension is about the reach its climax. Will you have a lucky escape with the gang after their latest heist? There are three free spins mode to find out – Old Saloon, High Noon Saloon and Train Heist – each with its distinct wilds and win multipliers. 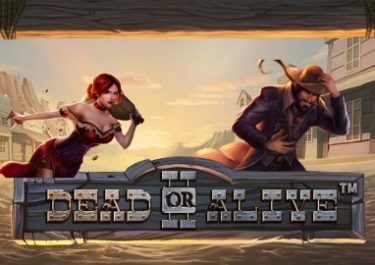 The rounds are expected to be highly volatile as the win potential has been increased on the Dead or Alive II slot from roughly 15,000x your bet to over 100,000x your bet. Hit minimum three scatters to trigger the bonus features. 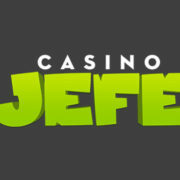 The game will lead to a second screen, displaying the three types of free spins. You can pick any them on every trigger. All three bonus rounds come with 12 free spins which cannot be retriggered. 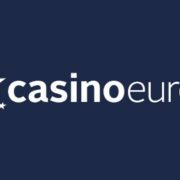 However, hitting a wild on each reel or sufficiently high win multipliers will award five extra spins. Train Heist Free Spins: This round is completely new and has at its core a progressive win multipliers of up to x16. It will start at x1 and any wild landing on a free spin will increase it by x1. The wilds are not sticky in this round. The 5 extra spins are awarded when the multiplier reaches the maximum of x16. 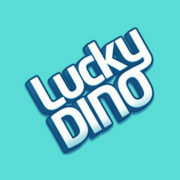 The remaining free spins are then played with the maximum multiplier. Old Saloon Free Spins: This round resembles most the well-known feature on the original slot. All wins are multiplied by x2 and the aim is to hit sticky wilds on each reel, preferably on a pay line as it will pay then the win for a 5OAK wilds on each of the remaining spins. There is one extra included in such that more than one wild landing on a reel will turn the wilds into x2 multipliers with two wilds and x3 multipliers with three wilds. 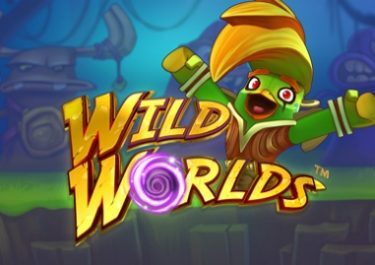 The 5 extra spins are triggered when minimum one wild lands on each reel. High Noon Saloon Free Spins: Arguably the most volatile choice as any wilds landing will instantly turn into a sticky multiplier wild. More than one multiplier on a line are added, creating the chance to reach a x15 multiplier. 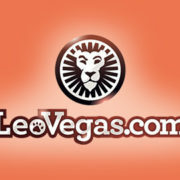 Five extra spins are awarded when at least one wild lands on each of the five reels. 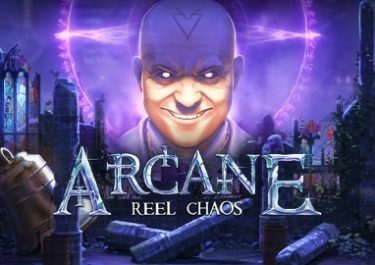 Get ready for a roller coaster ride when you enter the free spins mode as it can end with virtually no wins or can lead to a monster win. 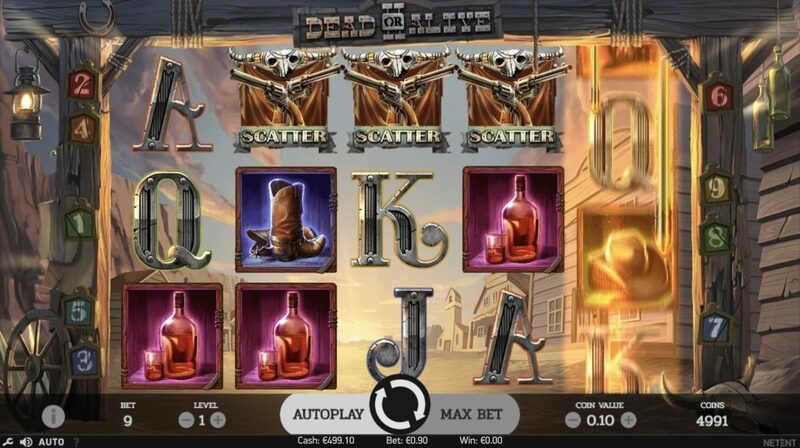 Any player who spun the reels on the original Dead or Alive slot will know how suspenseful the moments are when the wilds start falling into place. 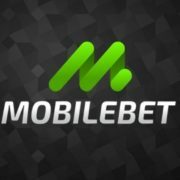 With a massively increased win potential of over 100,000x your stake, that suspense is bound to become near unbearable, although the win celebrations will also hit the roof once the a wild line locks in place. We waited years for a sequel to DOA and it was worth it. NetEnt has created with Dead or Alive 2 a super volatile slot that can turn a player into a millionaire on a mere $18 bet. 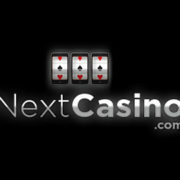 Not only that, they have given it three free spins modes, each with its own volatility and pay mechanics. The Train Heist seems to be the one with the lowest variance, while it rises in the Old Saloon round and skyrockets in the High Noon Saloon round. Get ready to play Dead or Alive II after its release as it will have you buzzing with suspense in every slotting session.